Photo taken from a GoFundMe account for the victim. A 31-year-old motorcyclist died today from injuries he sustained Monday when he collided with a state vehicle in East Long Beach. 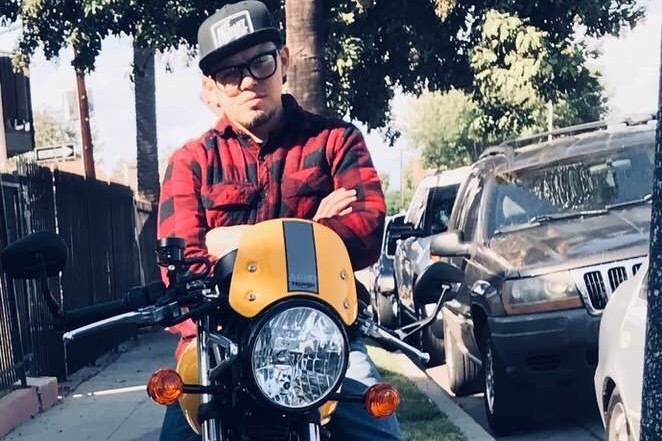 According to posts online from family and friends, Julio Lopez of Long Beach died after being hospitalized in critical condition and unconscious since the traffic collision involving a California Department of Transportation (Caltrans) vehicle at about 12:10PM at Pacific Coast Highway and Loynes Drive. The incident closed down southbound PCH and Loynes Drive in both directions, said Long Beach Police Department (LBPD) spokesman Sgt. Brad Johnson, who also stated it was being investigated by California Highway Patrol (CHP) since it involved a state vehicle. Lopez was hospitalized in serious condition and underwent multiple surgeries and life-preserving treatments while in the Intensive Care Unit, according to a GoFundMe created for him May 2. Lopez was a father to three children from 9 months to 9 years in age. The account has garnered $2,620 out of a $5,000 goal and will be used to help with medical expenses.